Scott Olson/Getty ImagesSteve Bannon, the former advisor to President Donald Trump and executive chairman of Breitbart News. Steve Bannon and Breitbart News are waging an attack on Paul Singer, the billionaire hedge fund titan. Singer is a prolific GOP donor who during the campaign led the “Never Trump” movement within the party. It recently came out that Singer, who has since reportedly mended ties with Trump, had helped fund research behind the salacious “Steele dossier” in an effort to undermine Trump. Paul Singer, one of the most feared activist hedge fund titans in the world, is used to tangling with high-powered corporate executives. But how will Singer, a prolific GOP donor and once-fervent opponent of President Donald Trump, fair against the alt-right? We may be about to find out, as Steve Bannon, the former White House chief strategist and current Breitbart News executive chairman, is now reportedly on a mission to destroy Singer, who runs $US34 billion fund Elliott Management, according to Axios. 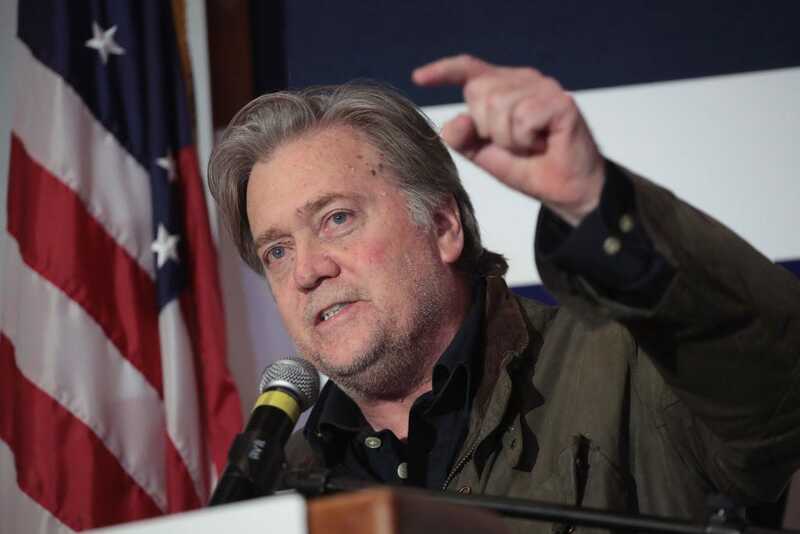 The battle further highlights the splintered Republican Party, pitting an establishment GOP stalwart in Singer against Bannon, perhaps the most influential leader of alt-right. Singer, one of the Republican Party’s most important donors, was a leader of the “Never Trump” movement during the presidential campaign. It was recently reported that the Washington Free Beacon, a conservative website that Singer bankrolls, was funding the opposition research by the firm Fusion GPS that helped produce the “Steele dossier,” the salacious and uncorroborated report implicating Trump for connections to Russia named after ex-British spy Christopher Steele. Singer and the Free Beacon have denied having anything to do with the dossier. Bannon has allegedly long-loathed Singer, and after the news dropped, he hopped on the phone with the president and told him he was going “off the chain” to destroy Singer, according to Axios. Breitbart News, the alt-right news outlet that Bannon runs, has unleashed a flurry of attacks on Singer in recent days. Trump reportedly endorsed Bannon’s new line of attack when they spoke on the phone, though others have said he’s repaired the relationship with Singer and is unlikely to publicly come out against him, as Singer has supported Trump since the election. Singer, one of the wealthiest investors on Wall Street, donated $US1 million to Trump’s inauguration and is seen as an important ally in the tax-reform push.